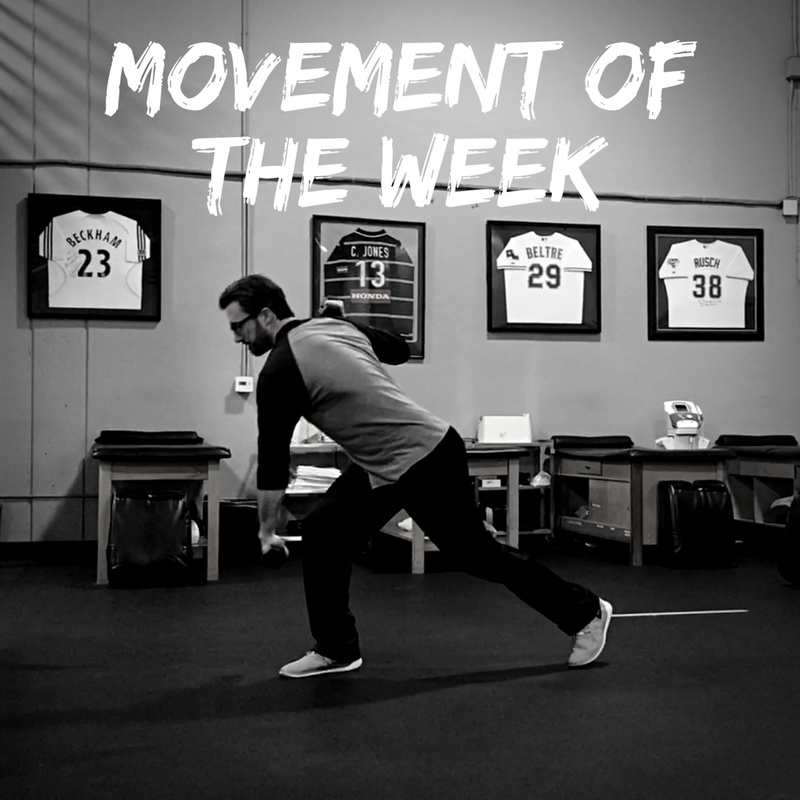 This movement is part of a pitching deceleration series. Pitchers need to be able to decelerate not only their arm but their entire body. I like to use this not only for deceleration but also for training: foot placement, coordination, hip/shoulder disassociation and agility. Hold a pair of lighter dumbbells at shoulder height in 90 degrees of external rotation. Shuffle once to the side and open up towards the shuffle direction leading with the foot followed by the hip, trunk and finally allow the opposite arm to fall across the body in a pitching motion. The key is allowing the arm to fall, this should not be an active throw, it should be a faster but controlled fall. The trunk should hinge forward at the hip over a flexed knee and ankle. Keep the opposite arm up in an externally rotated position, reverse the motion and repeat in the opposite direction.